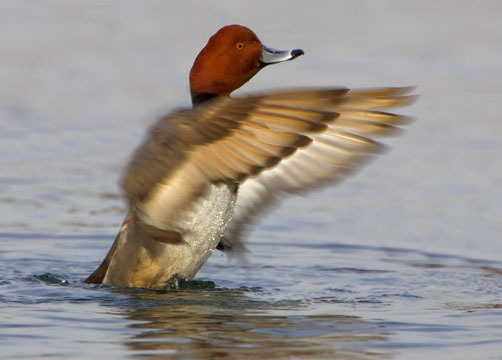 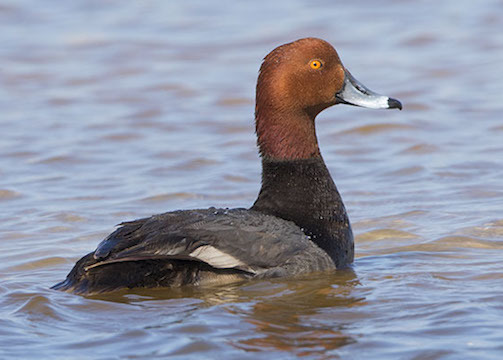 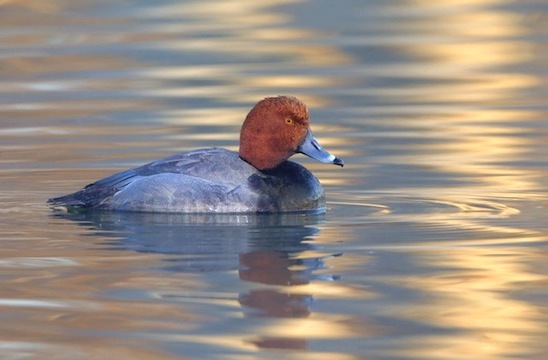 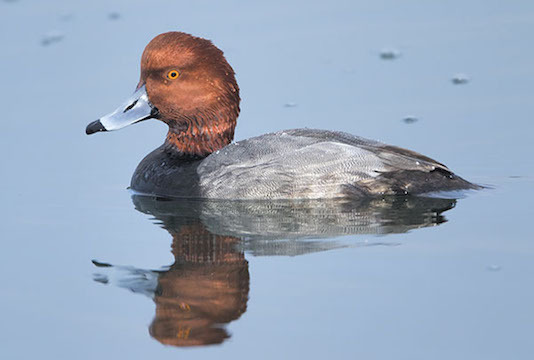 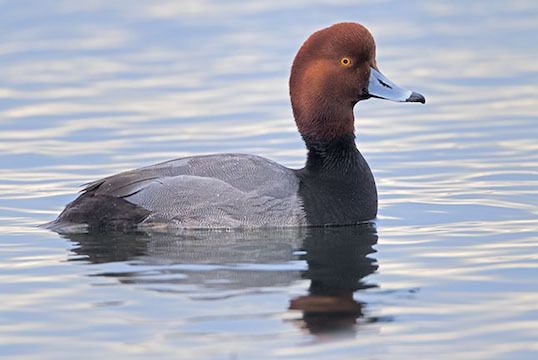 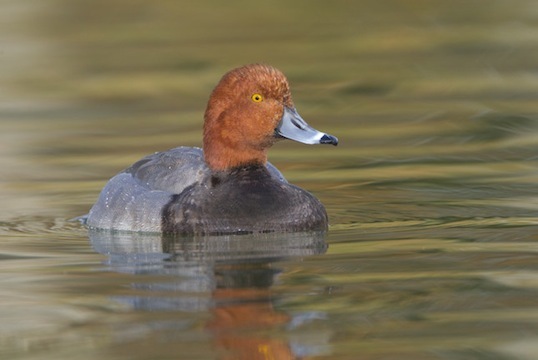 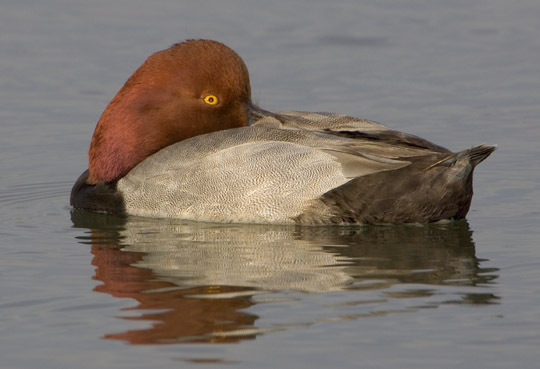 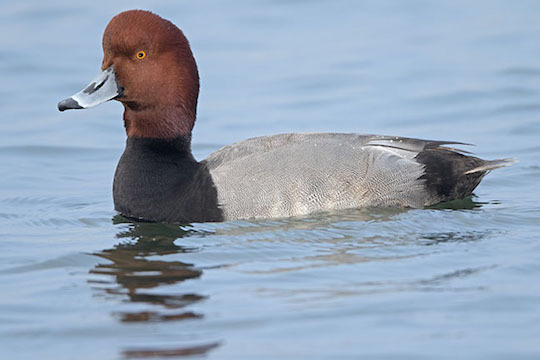 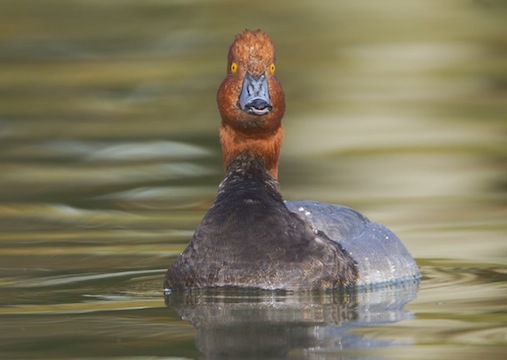 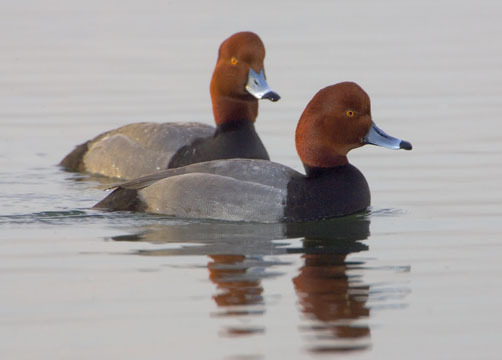 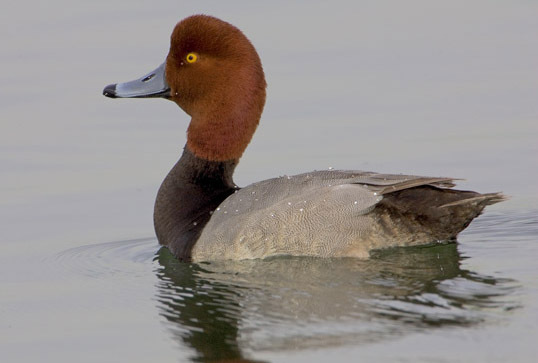 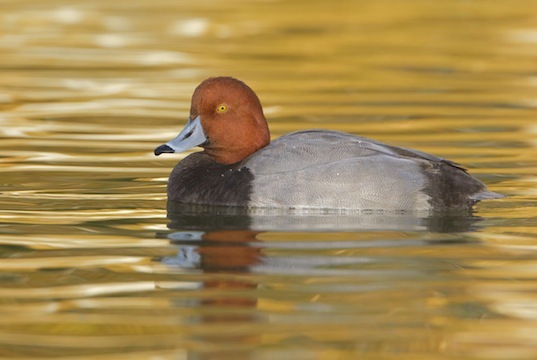 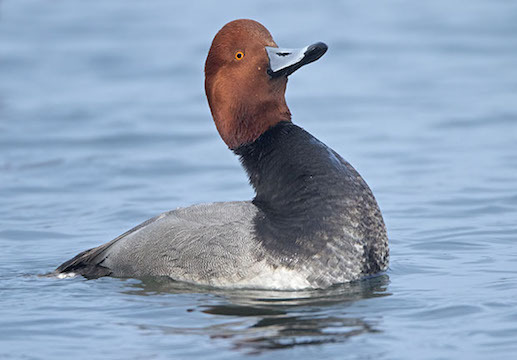 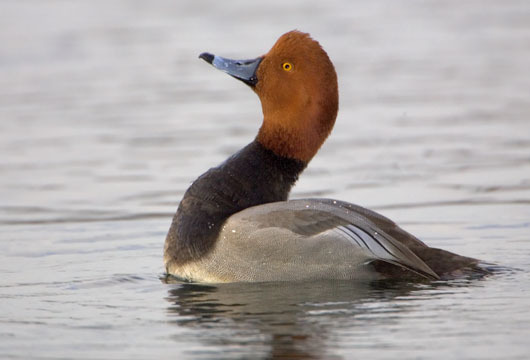 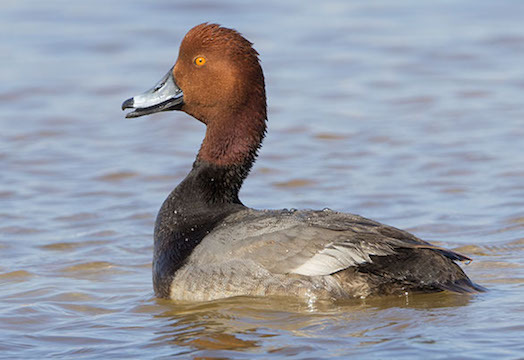 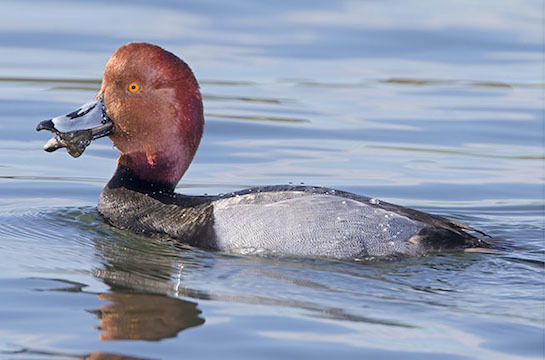 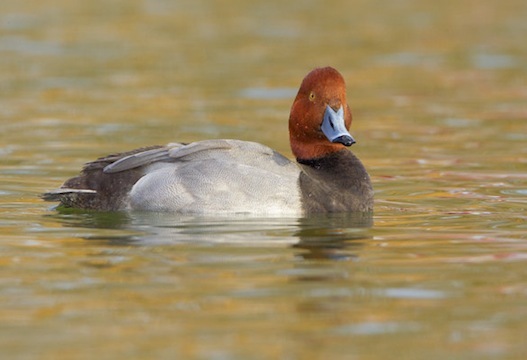 Redheads are interesting ducks. 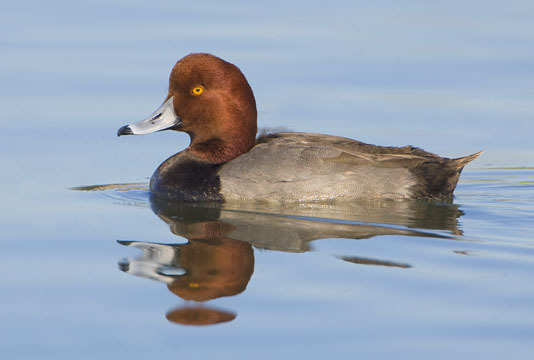 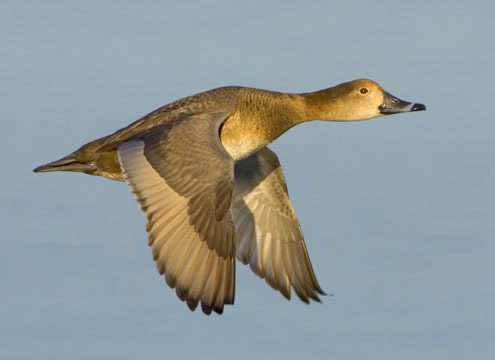 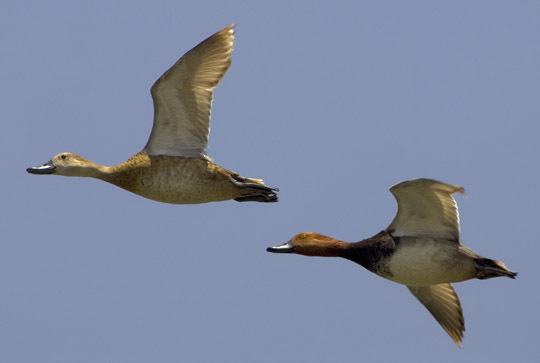 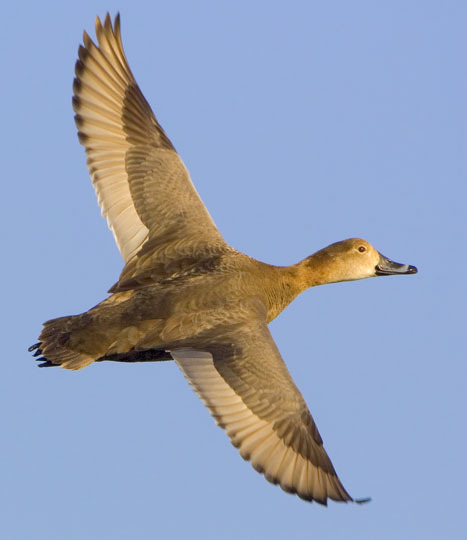 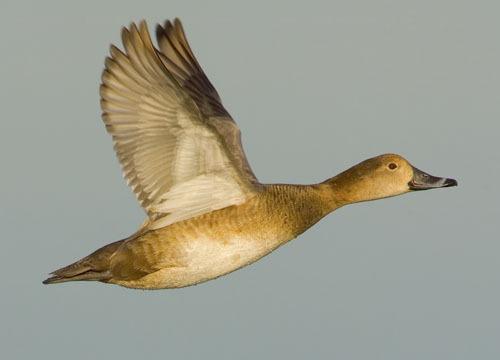 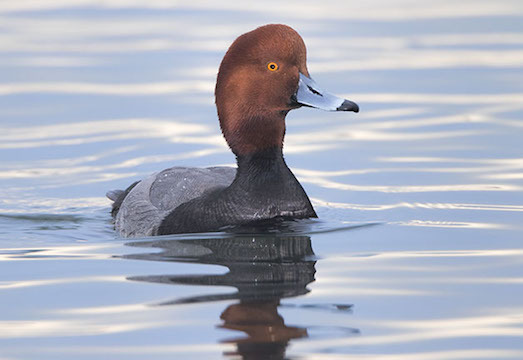 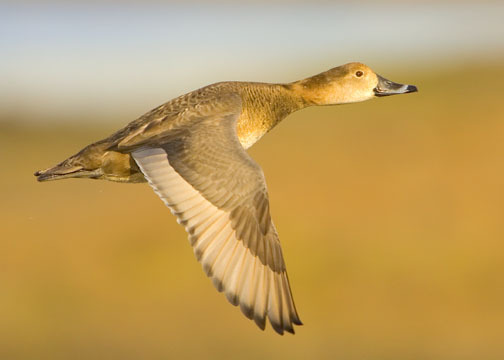 Females frequently lay eggs in the nests of other species (such as mallards, scaup, etc. 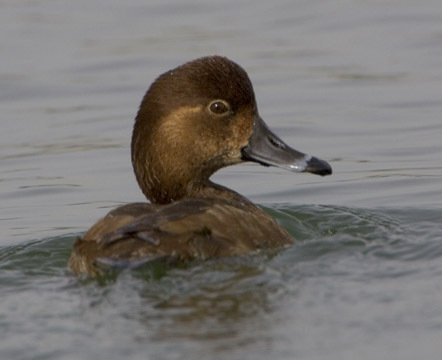 ), to be incubated and cared for by the host. 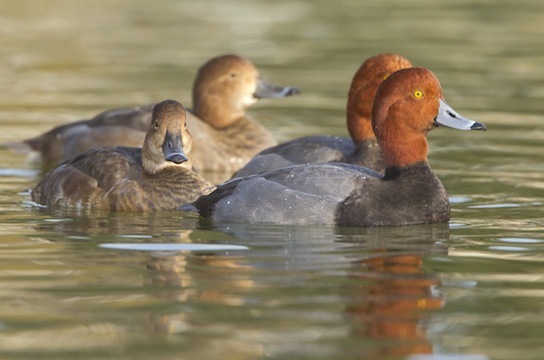 This is a facultative form of brood parasitism (not obligate as in cowbirds or Old World cuckoos), as they can take care of their own eggs if necessary. 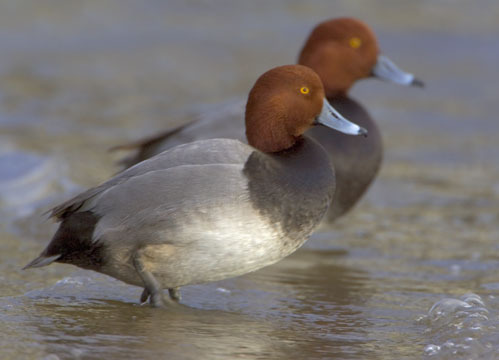 These male redheads (plus one female, below at left) were photographed on Mission Bay in San Diego, at Bolsa Chica wetlands in coastal Orange County, and at the Salton Sea, all in southern California.